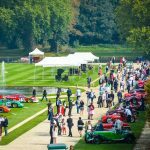 The 4th Chantilly Arts & Elegance Richard Mille held on Sunday 10th September in the Chantilly Château domain fulfilled all its promises. 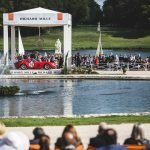 Boosted by its first staging, which placed it firmly among the international benchmarks for concours d’élégance, the event continues to progress both in terms of visitors and in the richness of the cars entered for the different concours. 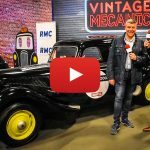 Thus, 16 300 spectators (an increase of 20% compared to 2016) were attracted by the vehicles on show this year with five concept cars competing for the Concours d’Elégance prize and 82 historic cars from all over the world (35% from France and 65% from abroad), were all victory contenders in their respective classes and also for one of the two ultimate titles of Best of Show awarded depending on their era (pre or post-war). 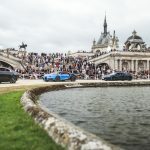 Five cars were in contention for the Concours d’Elégance: the DS 7 Crossback Présidentiel associated with the couturier Eymeric François, the Aston Martin Vanquish Zagato Volante (Couturier : Ann Demeulemeester), the McLaren 720 S (Couturier : Haider Ackermann), the Renault Trezor Concept (Couturier : Balmain) and the Citroën CXperience Concept (Couturier : Yang Li). After deliberation by the jury comprising Jean Todt (President of the FIA), Margot Laffite, Paul Belmondo and Christophe Bonnaud (journalist), the Best of Show of the Concours d’Elégance was awarded to two winners: the Renault Trezor Concept (Couturier Balmain) and the Citroën CXperience Concept (Couturier: Yang Li). 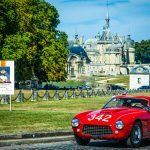 For the Concours d’Etat, the organiser Peter Auto decided to celebrate in its own way Ferrari’s 70th anniversary with the Le Mans 24 Hours as the main theme. 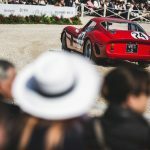 Thus, 28 cars bearing the Prancing Horse badge, all of which had taken part in the most famous endurance race in the world, were gathered together for the occasion divided up into five classes. From this unique exhibition, an exceptional car won the favours of the jury and the Best of Show for the post-war cars went to the Ferrari 250 Testa Rossa 58 (châssis #0728)(owned by Sir Michael Kadoorie), winner of the Sarthe classic in 1958 driven by Olivier Gendebien and Phil Hill. 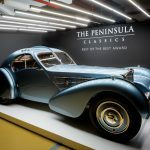 Among the pre-war cars the class reserved for Bugattis attracted the attention of the jury. Gathering four Type 57 Ss together in the same place was a feat in itself and it justified the awarding of three prizes for this class crowned by the Best of Show for the 1936 Bugatti Atlantic (châssis #57374) owned by Americans Robson Walton and Peter Mullin, who had already received a prize at Chantilly in 2014 for his 1937 Delahaye 135M cabriolet with Figoni and Falaschi coachwork. 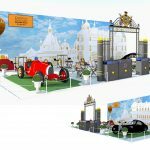 The presence of 42 clubs that displayed 800 cars in the domain was also an integral part of the show and helped make the huge garden party to which visitors were welcome, a success. Looked after by the FFVE, the Grand Prix des Clubs went to the Fiat Fan Club for the overall quality of its presentation. 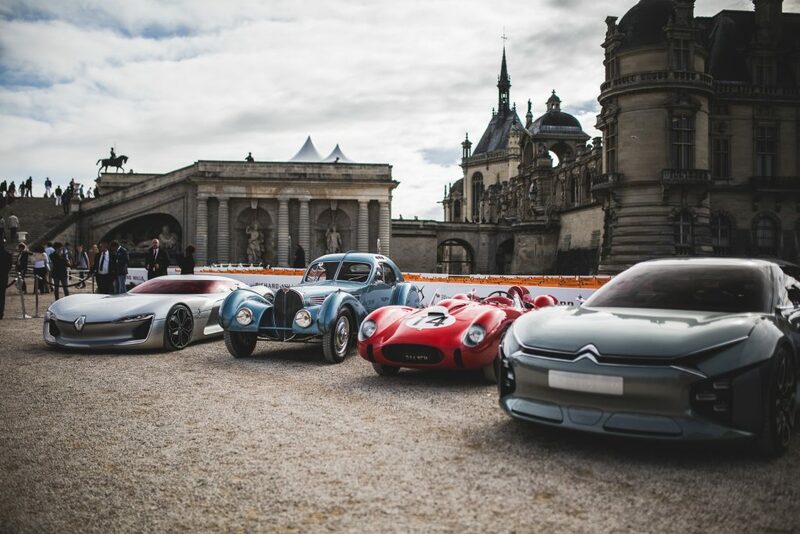 Car enthusiasts, all generations combined, as well as families were again attracted by the programme of the fourth Chantilly Arts & Elegance Richard Mille, which celebrated the art de vivre and le savoir-faire à la Française by means of several workshops and activities in the Chantilly domain.